Decades before Sofia Coppola and Gus Van Sant, just to name a few filmmakers, the brilliant Mike Nichols knew like no one else how to transform a song or two in a present character in his films. A song would become a character’s personality extension or even the entire film’s soul, it would feel so powerful that neither dialogues nor editing cuts would be necessary to comprehend a scene or the character’s feelings and personal motivations. Seeing Benjamin Braddock with contemporary eyes, I can almost interpret him as a male version of Sofia’s typical characters. Or could Charlotte be a modern female version of Benjamin? >"I promise, I’ll come back for you. I promise, I’ll never leave you." Anthony Minghella, the british filmmaker who directed The English Patient*, The Talented Mr. Ripley and Cold Mountain died yesterday. I remember the movie starred by Ralph Fiennes and Kristin Scott Thomas was one of my first big screen crushes, back in early 1997 when I saw it. 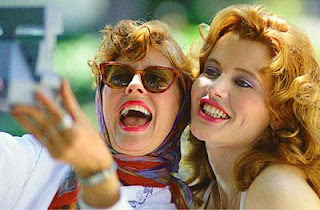 I wouldn’t forget the film for weeks and would always talk about it, for the terror of my female friends, who didn’t turn as passionate about it as I did. I still remember that late night week session, when my dad, my brother and I entered in a room that no longer exists, just a couple of minutes before the film started, and got some seats in one of the first theater rows. That film felt bigger than life, not only in images, but in words. Katharine and Almásy’s tragic love story is one of those cinematic tales that will always be remembered. *Has anyone read the novel? 16-year old Juno MacGuff (Ellen Page) is incredibly articulated, independent and mature for her young age, she’s smart and when she speaks, she sounds like a sub-machine gun that shoots words. She decides she’s ready to lose her virginity, and the chosen one is a dorky/taciturn kind that goes in the same school she does. After one single sexual experience, Juno gets pregnant. And from this very point my disbelief for the Oscar winner Diablo Cody‘s script and the entire film started. Some might say that a plot of this kind is as realistic as any other real life story, as that’s how teenagers are: they can be surprisingly mature in some life aspects, and totally clueless in other situations. Yes, maybe it’s true, but in Juno’s case, it didn’t work for me. I just had the impression the screenwriter wanted to create an original story about undesired pregnancy, but she went so further in her imagination that knocked up the wrong sort of character. The fake feeling kept going in Juno’s entrance to an abortion clinic, where dorky asian students protest in the outside claiming that the thing inside her belly has fingernails, and receptionists from the inside offer fruit-scented condoms that makes you-know-what smell like pie. Juno, then, decides to carry the thing for nine months and give it to adoption. She also tells the truth to her father and step-mother, who despite being surprised and shocked, supports her decision and don’t go into any further questions. In the next second, the perfect future adoptive parents appear, although it’s clear that the father-to-be doesn’t feel as comfortable about becoming a parent as his wife (Jennifer Garner, at last a real character). Life goes on like it’s always been, and Juno hardly suffers with hormonal and psychological transformations, after all, she’s a tough brat, something that will be stated by the time she gives birth. In theory terms, it’s nevertheless original to pick a controversial/dramatic/serious theme and deal with it in a soft manner, like in a comedy. This idea has originated real master pieces, like the italian film La vita è bella, and in more recent times, very good films like the less bold Little Miss Sunshine, which has been unfairly compared to Juno. However, Cody’s originality sounded and felt too forced on screen, from the characters’ dialogues to the consequences of their actions. 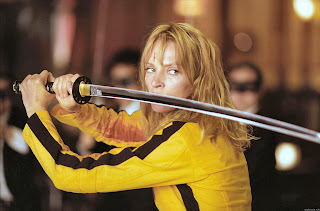 Besides, her potential-original material was often ruined by the cliche and sometimes mediocre directing by Jason Reitman, who should have learnt that spring, summer, autumn and winter in contemporary cinematic terms only truly enhanced a single film’s storytelling, that happened to be asian. Another aspect of Juno’s personality and hasty dialogues that made her even more unreal was the fact Juno was nothing but Diablo Cody herself, after all, the edgy teen often mentions pop icons that do not belong to her time (thundercats?!?). The best about this film, that overall is not bad (far from it, I even laughed in some moments), is its non-original soundtrack, which fits characters and situations like a glove, besides concealing Reitman’s filmmaking flaws. It’s been a while I wanted to post this, and today is the perfect day. 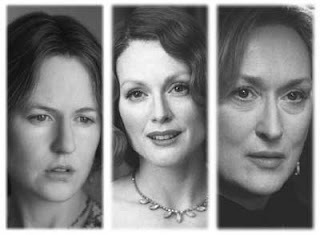 How about more women’s positive portraits in the movies and less misogynism? This is a very short list, so anyone who knows other films of the sort, just let me know! -Jodie Foster in The Accused, The Silence of the Lambs and so many other films. Note: Some videos I hosted might contain spoilers. I know how Oscar comments are ridiculously late at this point, but…whatever. 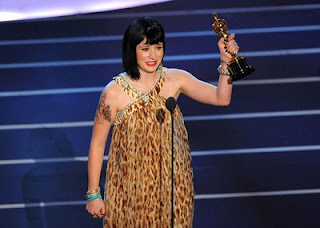 It’s funny how an Oscar has the power to disconcern those who win one, just look at Diablo Cody speech. Such an intelligent and articulated lady, even ironic if the situation conveys, and why not, a rebel. “Mom and dad, thank you for accepting me the way I am”? (as far as I can remember that’s what she last said). What’s so special about her that her parents could have a hard time accepting her..? Nevertheless, Juno’s writer rocked the red carpet with personality, I just can’t understand those who say she was badly dressed, she was just being herself. I particularly liked her better than the boreness of red and black that put me to sleep minutes before the ceremony started. I must have woken up half hour later, because I could see Amy Adams’ performance and the first acting winner live. Amy Adams sounds so effortless as Giselle, such a pity she had no costume, backup dancers and a “real” stage. And she could have sung not only one, but two of the nominated songs. Then I went to bed. The next day, no talks in the train, no talks in the classroom, no newspapers or TV news. I arrived at home around 3-4pm and watched the whole show which I had recorded, like if it had been broadcasted live. Every year the Oscar is more and more boring, and how useful it is having a remote to forward things. The best things were some of the winners themselves: I couldn’t be more happy with three awards to The Bourne Ultimatum (one of my fav movies in 2007), Tilda Swinton for best supporting actress (OK, Blanchett was my fav, but Tilda was also stunning in her role, and to see her with an Oscar in her hands just reminded me of how wrong I was in my award predictions months ago – luckily! ), and of course, the best victory of the evening, Marion Cotillard.